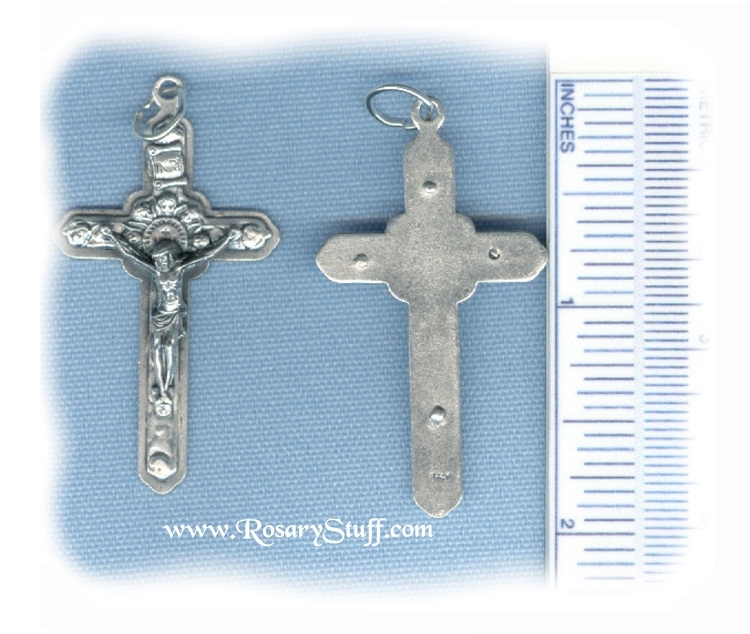 Cherub Crucifix ~SP~ 1 3/4 in. Italian oxidized silver plate Cherub Crucifix. This sweet little crucifix features several cherubs behind Christ's head and on the tips of the crucifix. It is sized at 1 3/4 inches tall (not including ring) and slightly over 1 inch wide.